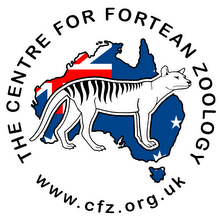 Details of the planning of the CFZ Sumatra expedition are almost finalised, and the trailcam fundraiser has been a great success, with four Bushnell trail cameras (aka game cameras) secured thanks to the generosity of CFZ supporters. A big thank you to Glen Vaudrey, who drove the fundraising, and to Adam Davies and Andrew Sanderson who have worked hard on planning the trip. The countdown to September has begun!